You have enough on your plate running your business without constantly being vigilant for email scams, phony invoices and other fraud attempts. 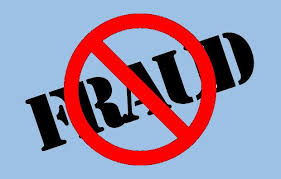 According to Javelin Strategy and Research’s 2011 Small Business Report, small business owners lost almost $8 billion to fraud in 2010. Other studies have shown that small businesses are victims of fraud at a rate 15 percent higher than larger corporations and organizations. The Better Business Bureau highlights nine scams that target small businesses in particular. Here’s what to look out for and how to prevent fraud from hitting your business. Directory Scams — The scammer calls the business claiming they just want to update the company’s entry in an online directory or “Yellow Pages.” The business is later billed hundreds of dollars for listing services they didn’t agree to or for ads which they thought would be in the actual Yellow Pages. Office Supply Scams — Every year the BBB receives thousands of complaints from small business owners who were deceived by office supply companies who billed them for products like toner or paper that they didn’t order. Overpayment Scams — Be extremely cautious if a customer overpays using a check or credit card and then asks you to wire the extra money back to them or to a third party. Common targets for this type of fraud include catering businesses, manufacturers, wholesalers and online sellers on sites such as eBay, Etsy and Craigslist. Data Breaches — No matter how vigilant your company is, data breaches can still happen. OMEGA Processing’s data protection program can help you strengthen your security systems and procedures. Contact OMEGA Processing’s Customer Service department (866.888.9724 Ext. 7) to learn how our PCI data protection program can work for you. Vanity Awards — Not all awards are on the up and up. Some are just money-making schemes and have no actual merit. Research all business or leadership award opportunities, and be wary if you’re asked to pay money. Stolen Identity — In this case, your business reputation could be tarnished if YOUR customers are ripped off by scammers posing as your business. Phishing Scams – Hackers will attempt to gain access into your computer or network — not with a rod and reel — but with emails that look like they are from a trustworthy organization. Common examples include emails pretending to be from the IRS, BBB or government agency. If you receive a suspicious email, DON’T click on any links or open any attachments. Contact the agency directly to confirm the legitimacy of the email. Smishing Scams — Similar to phishing, these scams instead uses text messages announcing gift cards or prize money. Don’t respond to suspicious texts and contact the company directly from a published number on a website or phone book. Vishing Scams — In this scenario, scammers work from phone number list or even a phone book and leave an automated message saying the person’s credit card or bank account has been compromised or closed. Again, it’s best to contact the company directly at a trusted, publically published phone number.